In the news this week with lots of negative comments from the media. Read more about what is happening in your area. An interview published on YouTube with Dr Nigel Watson (that's me) and Dr Duncan Walling ex GP and Medical Director of Wessex LMCs and now entrepreneur and founder of Fourteen Fish/MyLMC. This is still causing concern amongst GPs and there are a number of misconceptions. This interview will hopefully answer some of those questions. This continues to be of great concern ton GPs but is becoming an essential part of modern day general practice. This is for Hampshire practices. Are you concerned about the safety on your roads locally? Is this related to elderly patients who stall drive? This initiative run by the local police is worth promoting to your patients. As we all know the NHS is facing unprecedented demands on its already overstretched services and this is especially true for general practice. We have an ageing population, and there are more people living with one or more long term condition. In addition although people are living longer they are also living in ill health for longer. Older frail patients are more depended on social care and the cuts to local authority funding all play a part in the current challenges. If we do nothing and continue to deliver services as we do now the predicted growth in demand will mean that the NHS will be over £20bn in deficit by 2020 with a current annual budget of £110bn. In 2007 general practice received about 10% of the total NHS spend this has now fallen to below 8%. 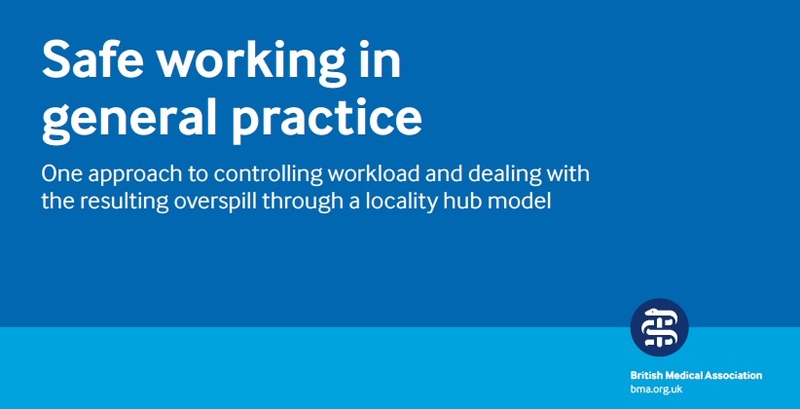 NHS England has established 44 local areas where commissioners, hospitals, community providers, local authorities and general practice are expected to work together to formulate a plan that will deliver sustainable services and address the growing demand that all areas are experiencing. For too long the NHS at a local level has worked in silos - recently I heard a quote - "silos are where intelligent people go to do dumb things!" We must end the silo working as it in inefficient, causes duplication and most things seem to be pushed back to general practice who not longer has the capacity to deal with it. In Wessex we have 3 STPs and the LMC represented in each of these. · Digitally enabled Dorset – to improve use of technology. Dorset STP is at an advanced state to some areas within the UK; largely as a result of the Clinical Services Review (CSR) which has prompted inter-organisational conversations and collaboration which have not occurred as much elsewhere. The STP, as with the CSR, has taken an acute medical focus which the LMC has advocated to re-focus upon General Practice as 90% of NHS contacts occur within General Practice and are key for ensuring effectiveness of more care delivered within the community. A senior leadership team with representation from all the involved organisations is meeting monthly to drive forward this agenda at board level. Locally there is an NHS budget of about £3bn to look after all the needs of a population which is close to 2m. It is estimated that with the annual growth in demand if we carry on providing care in the way it is delivered now, by 2021 the local health economy will have a financial gap of over £700m. This would largely be due to the growth in hospital based care. So no change is not an option. The BSW STP brings together three separate health economies without a strong history of working closely together. This puts it in a different position from the Hampshire and Dorset STPs. Therefore it’s June submission was a more strategic and high-level document with no developed plans for significant service changes at this stage. Feedback to the June submission acknowledged that the STP was embryonic in development but NHSE were generally very positive about the direction of travel. BSW footprint was at near breakeven position in 2015-16 (-6m deficit) so is seen as lower risk than some other STPs. However, if no action is taken, the forecast financial position is a funding gap of £337 million by 2020/21 due to population increases, the cost of the aging population and increase in cost of care delivery. 1. The development of locality based integrated teams supporting primary care. 2. Shifting the focus of care from treatment to prevention and proactive care. 3. Redefining the ways we work together to deliver better patient care. 4. Establishing a flexible and collaborative approach to workforce. 5. Further enabling acute collaboration and sustainability. The STP emerging vision is to place the citizen at the heart of the health and social care system. The STP seeks to facilitate the development of an effective and responsive integrated community service provision that can deliver the care patients need closer to home, whilst maximising their wellbeing, ability to manage their own health, and reduce the need for secondary and specialised services. The proposed models will support earlier intervention, joined up social and health care planning, crisis management, enhanced self-care options, clearer sign posting, more tiered access to urgent care services, and clinically evidenced triage and treatment. The initial priorities are being assessed and developed through three care work-streams and three enabling work-streams. The next iteration of the plan will be shared with NHS England on 21st of October. As an alternative to reading about a number of issues relating to general practice I though I would present you with an alternative. 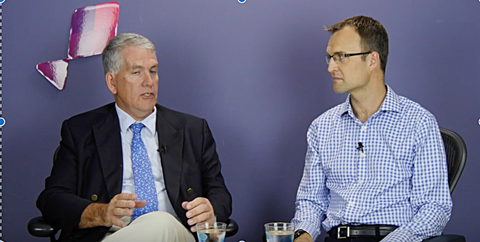 Here is a recent interview that was recorded about the current state of general practice and some potential solutions for the future. To watch the interview - click here. This is still an issue that is causing a lot of concern amongst GPs. Some still believe this a replacement for their GMS or PMS contract and that rather than being a voluntary contract they will be forced to relinquish their current contract. As I stated before this contract will not normally be held by a single practice, but would be held by a legal entity that would need to have the support of GPs who hold a registered list of patients. You can retain your GMS or PMS contract, remain as undefended contractors working in a practice where the contract is held by Independent Contracts working in a traditional partnership. 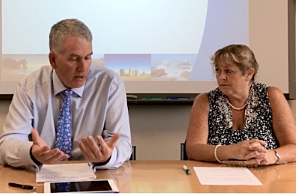 I have recorded an interview about the MCP, being questioned by our very own Carole Cusack - this interview lasts for about 10 minutes. To watch the interview - click here. Tier 1 Information Sharing Framework Agreement. This document sets out the general obligations that any party wishing to share information must agree to abide by. The key change relates to the physical location of the secure data centre since the merger of the CSUs. Tier 2 Risk Stratification & Integrated Population Analytics: As with the previous version, this document formalises the flow of primary care data to the CSU to support the Risk Stratification programme (as per the s251 approval CAG 7-04(a)/2013). However, it has now been extended to cover the use by the CSU of pseudonymised and anonymised primary care data to support a range of population based analysis (examples are provided). Please note that any data provided to CCGs will be anonymised by the CSU prior to sharing. I hope that you find the documents self-explanatory, but if you have any questions please do not hesitate to contact Wendy Lee, BI Programme Manager & Data Processing Lead South, Central & West CSU either by email: wendy.lee@southcsu.nhs.uk or phone: 02380 627 590. General practice is in crisis, with a marked increase in workload at a time of underinvestment and a shortage of GPs. Demand will continue to grow due to an aging population and it is essential that GPs are able to protect themselves and their patients from excessive workload and the impact it has on patient safety and quality of care. The BMA’s GPC (General Practitioners Committee) first discussed a Campaign for Safe Working in General Practice in February 2016. Its report, Responsive, safe and sustainable: our urgent prescription for general practice, published in April 2016, was an attempt by the profession’s representatives to quantify the needs of the service both operationally and strategically. Since then the NHS in England has produced the GP Forward View (April 2016)2 and the King’s Fund has published Understanding pressures in General Practice (May 2016).3 Both papers clearly identify workload as one of the major causes of the current crisis within general practice and recognise the need for solutions. The GP Forward View has committed to developing locality hubs (also referred to as primary care access hubs) throughout the country in order to provide additional clinical capacity. GPC believes that the primary purpose of the hubs should be to provide sustainable support for GPs within practices to work safely; however, as the hubs develop they would likely serve a range of other useful functions, providing a foundation for new models of care in the community and offering clear benefits for patients. Following the great success of last years awareness week, Hampshire Police have booked another week this year to help promote and raise awareness of the Older Drivers Forum and how it can help and support Older Motorists to carry on driving safely for longer. The Police also give advice to Family and Friends concerned about Older Motorists. The Older Drivers Forum is running an Awareness week between Monday 26th September and Friday 30th September at various venues across Hampshire and the Isle of Wight. It is free to attend, no appointment needed, just pop in anytime between 9.30am and 3pm and visit the various stands offering advice and support. Please see the latest Sessional GPs newsletter which is now available on the BMA website - Click here. Many GPs in Wessex use the Appraisal and Revalidation toolkit that is produced by Fourteen Fish (previously known as myLMC). Dr Duncan Walling, ex GP and Medical Director of Wessex LMCs left a couple of years ago and established a company called Fourteen Fish. The LMC continues to work closely with Duncan to develop products that will help and support local GPs. We started of by developing an LMC Database, called my LMC, which is now used but several LMCs. The Learning Diary and Appraisal toolkit came next. These are now widely used by Wessex GPs and most GPs use the patient and colleague feedback that has become an integral part of the toolkit. Fourteen Fish have now produced a number of excellent interviews based around Appraisals and Revalidation - these have been published on YouTube and are grouped together under the title of Fish TV.